Love the frame! The service was excellent! Thank you! 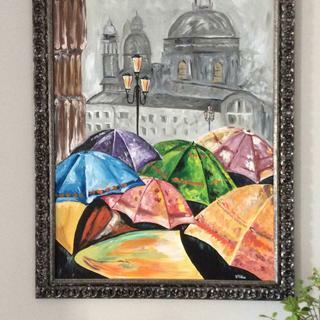 I painted this and found the perfect frame on your site! This frame is lovely. It is silver and has no gold tones at all. It was custom sized perfectly and I love it! 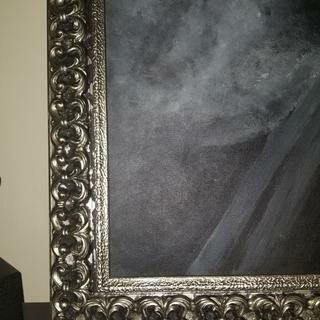 I purchased this Silver Frame for a recent piece of art a friend of mine painted. It is a oil painting 24x30. This frame made it complete. It's spectacular and it saved me more than half of what I would of had to pay at a local frame store. GORGEOUS!!! It's gorgeous. I thought I would be dissatisfied, that maybe it wouldn't look as good as the picture. But I love it. It's true to the picture. It's not perfectly square, but it's off by an immaterial amount. For the money, it is really hard to beat the custom frames on here. I've had similar frames built before and they've cost double or triple. I love the details and quality of these frames. My customers love them as well and I highly recommend them to anyone. The samples helped us make the best decision on which frame to use for our art and this frame won hands down! Will this frame hold a 1.5" canvas? BEST ANSWER: Hello Pattiann! The depth of the frame is 1/2" which means the canvas will protrude from the back of the frame by 1". 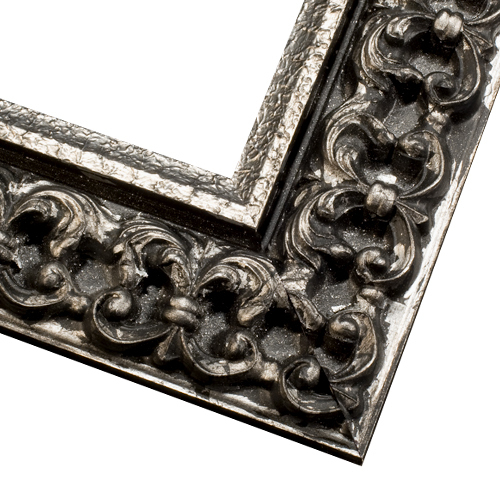 Please follow the link below to see our frames suitable for 1 1/2" canvases. Happy Framing!